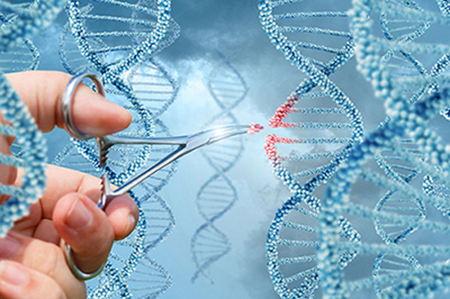 From immunotherapy to developments in gene editing, experts in the field weigh in on this year’s most important advances. Clinical OMICs spoke with Sheryl Elkin from N-of-One, Jonas Korlach from Pacific Biosciences, Eric Schadt from Sema4, Kevin Davies from The CRISPR Journal, Joydeep Goswami from Thermo Fisher Scientific, and Federico Monzon from the Association for Molecular Pathology. This year, for the first time, we have seen the approval of a cancer therapy based solely on a biomarker, independent of the cancer’s tissue of origin. Historically, cytotoxic cancer therapies have been approved for individual diseases, on a disease-by-disease basis. These therapies preferentially kill dividing cells, but without discretion for cancer cells over normal tissue. Over the past 20 years, targeted therapies have emerged, allowing treatment of cancers with specific mutations with drugs that directly target those mutations. However, the approvals of these therapies were still limited to specific diseases. Pembrolizumab (Keytruda) has now been approved for any solid tumor with high microsatellite instability (MSI-high) or a deficiency in a gene associated with the mismatch repair DNA repair pathway (MMR). This advancement moves the field closer to classifying and treating cancers based primarily on their molecular profile, rather than on their tissue of origin. The numbers of genes and variants being sequenced and reported in cancers, and the exploding number of targeted therapies, has turned the interpretation of a sequencing report into a monumental task for oncologists. Furthermore, the variation among laboratories reporting results has diversified, making it difficult for physicians to quickly identify the most important findings on a report. This year, the Association for Molecular Pathology, in collaboration with the American Society of Clinical Oncology, the College of American Pathologists, and the American College of Medical Genetics and Genomics published guidelines for the interpretation and reporting of somatic variants. The publication laid out a tier-based system for reporting variants, based on well-defined levels of clinical evidence. Adherence to these guidelines will help to standardize somatic sequencing reports, enhancing the ability of the physician to interpret the report and ultimately improving patient care. Click here to hear opinions of Jonas Korlach, Eric Schadt, Kevin Davies, Joydeep Goswami, and Federico Monzon on 2017’s most significant events.